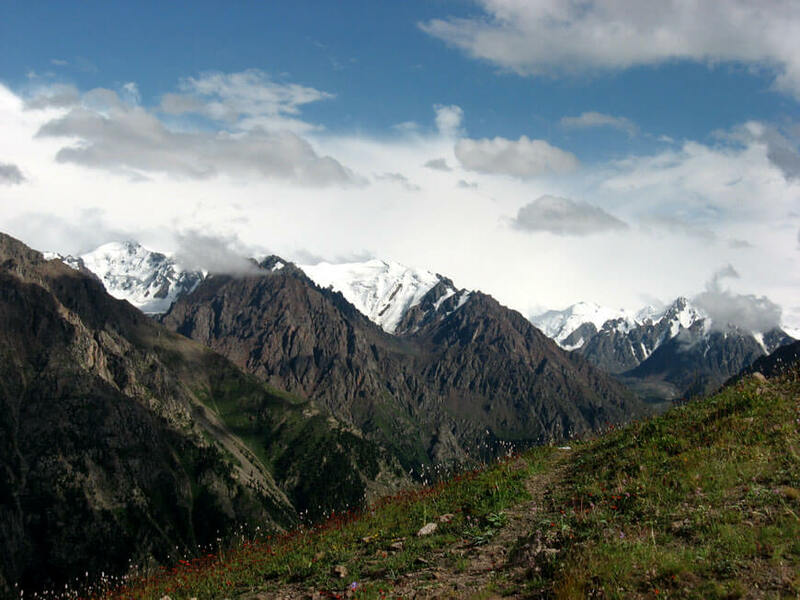 Short trekking with an overnight stay will allow you to fully enjoy the beauty of the Northern Tien-Shan mountains: forests, waterfalls, lakes and glaciers. 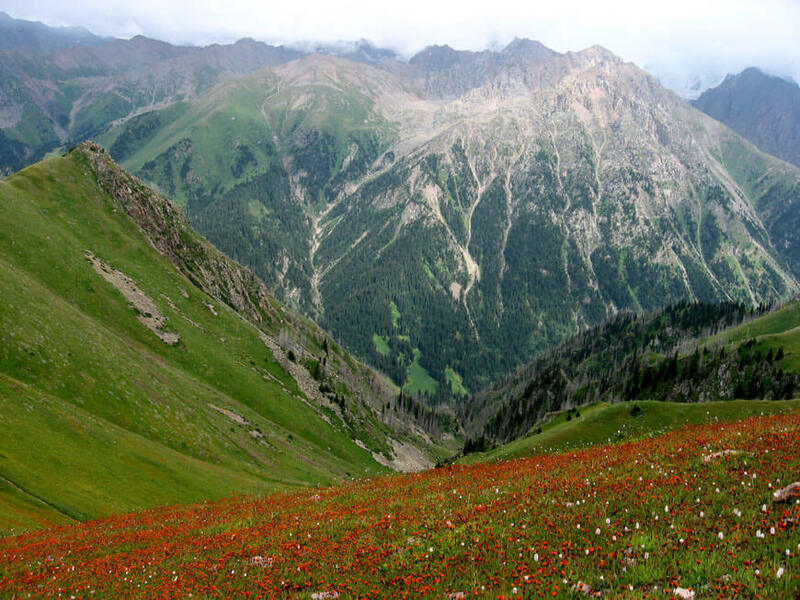 This is the simplest trekking, which would not be long intensive exercise. Day 1. Transfer to the ice rink Medeo (30 min). 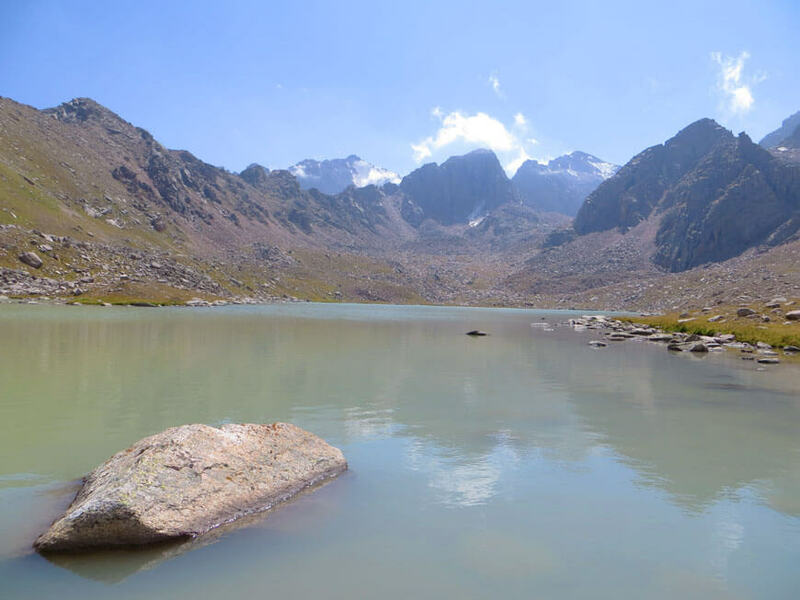 Kim-Asar gorge – Flag – Enthusiasts meadow (under mount Furmanov) – Butakovka gorge – Butakovsky pass 2,900 m – spring and Sulusay gorge – Left Talgar valley, KazPI meadow. 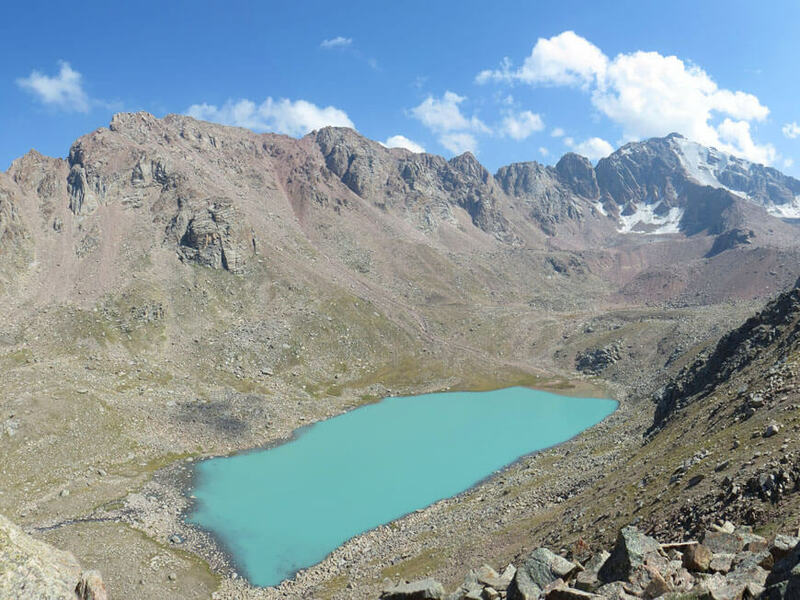 Distance: 12 km; 8 h. Difference in height: +1,250 m / -850 m.
Day 2. 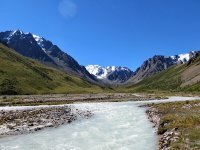 Bogdanka river – Komsomol river – Small Talgarsky pass 2,860 m – Kok Ashyk lake – Big Talgarsky pass 3,165 m. Cableway «Big Talgarsky pass – Shymbulak resort» (30 min). Transfer to Almaty (1 h). Distance: 7 km; 5 h. The difference in height: +1,000 m.
Day 1. 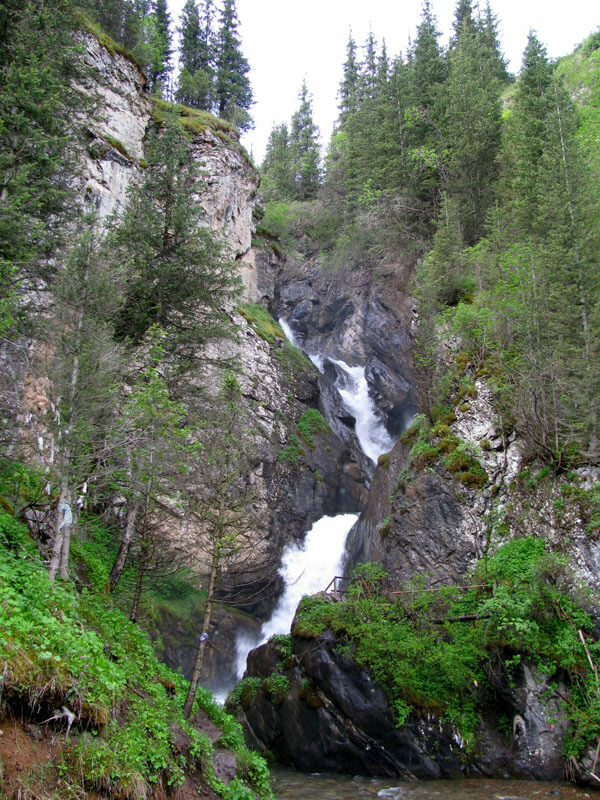 Transfer to the Kaskelen gorge (1.5 h). 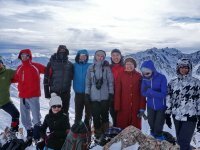 Limestone quarry – pass 2,015 m – Aydarys pass 2,800 m – Zhay (windy) valley – Southern Cossack river – Cossack lake 3,300 m.
Distance: 14 km; 9 h. Difference in height: +1,800 m / -100 m.
Day 2. 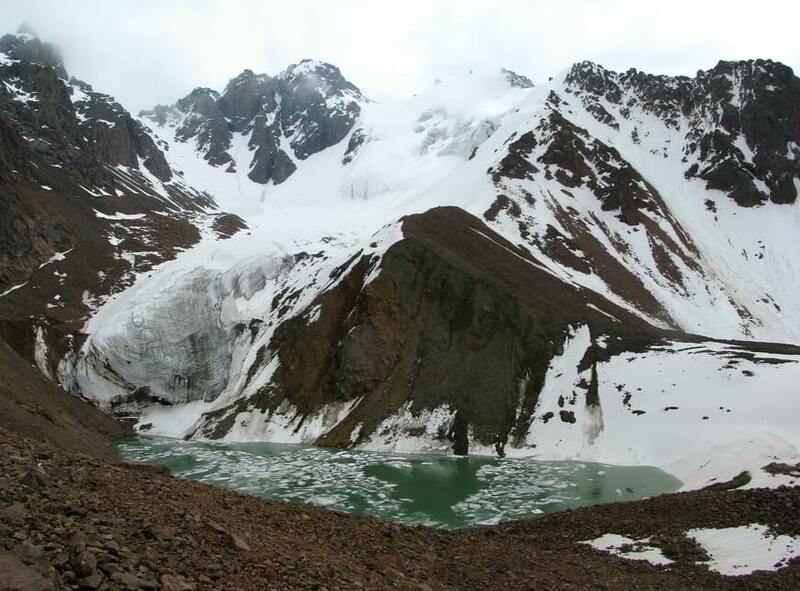 Camp – climb to mount Between Lakes 3,450 m – camp – Aydarys pass – Kaskelen gorge. Transfer to Almaty (1.5 h). 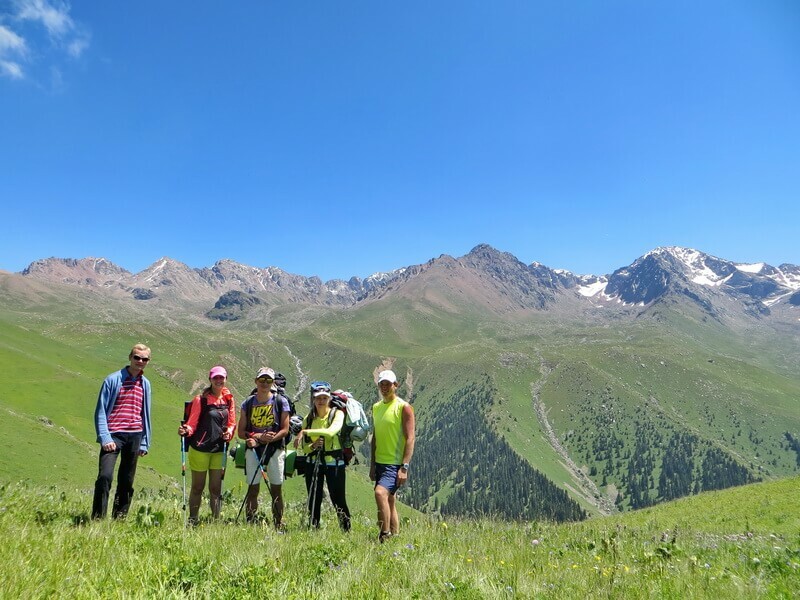 Distance: 17 km; 7 h. The difference in height: +250 m / -1,950 m.
Day 1. 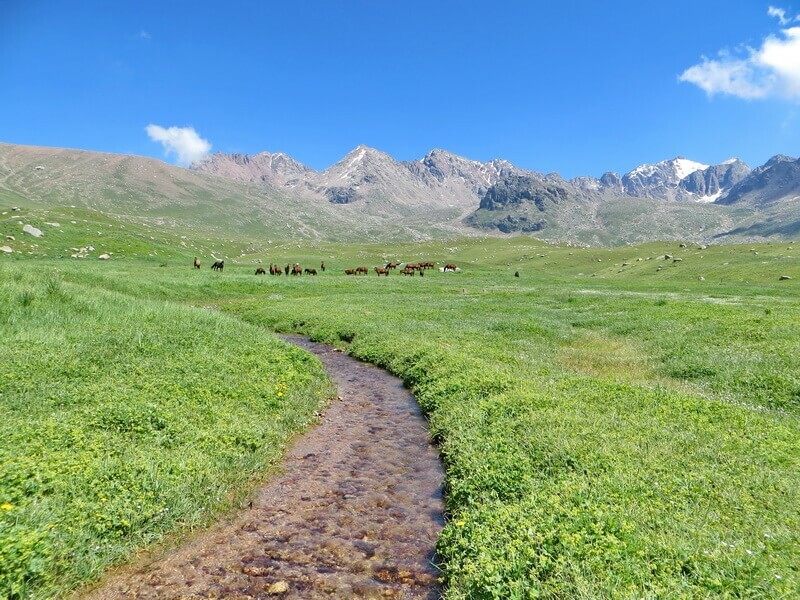 Transfer to the Turgen valley (2 h). 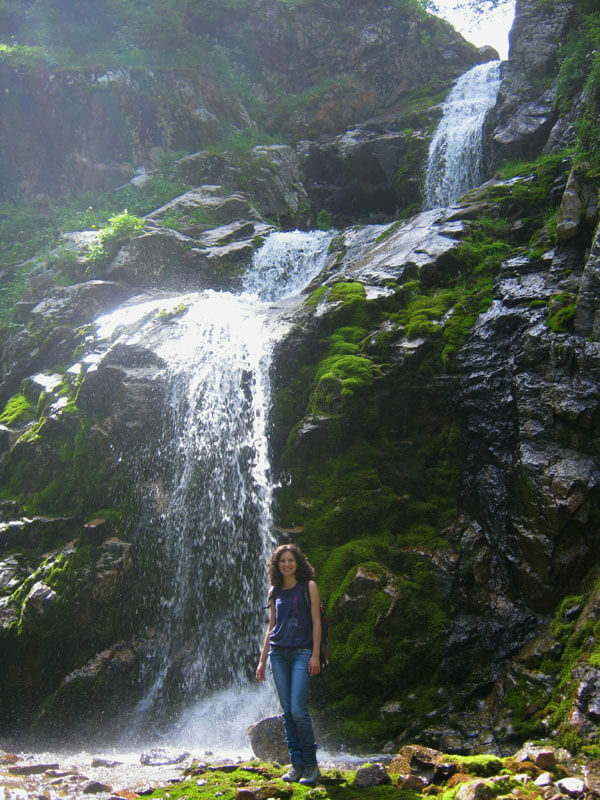 Batan village – Turgen valley – Kayraksky waterfall – Bartugul river. Distance: 12 km; 6 h. Difference in height: +900 m.
Day 2. 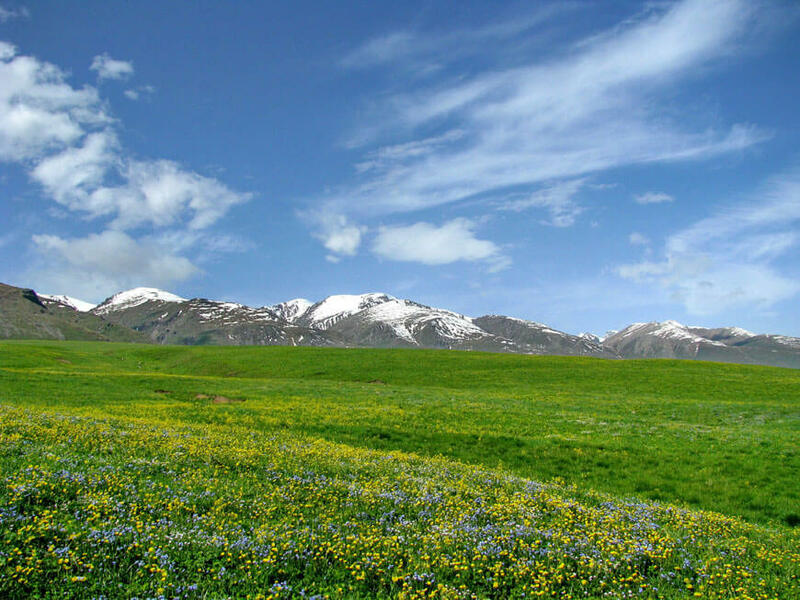 Donzhaylau plateau 2,800 m – Oyzhaylau meadow – Small Turgen gorge – Batan village. Transfer to Almaty (2 h). 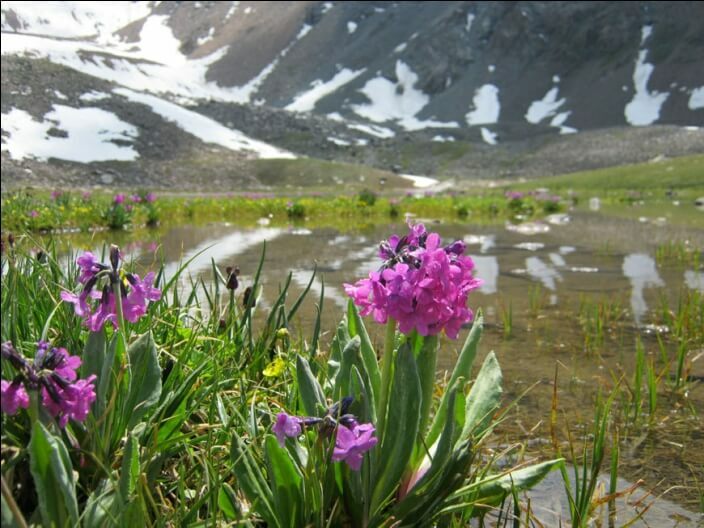 Distance: 17 km; 6 h. The difference in height: +300 m / -1,200 m.
Eagle Nest meadow – the top forests. Distance: 5 km; 4 h. Difference in height: +850 m.
Day 2. 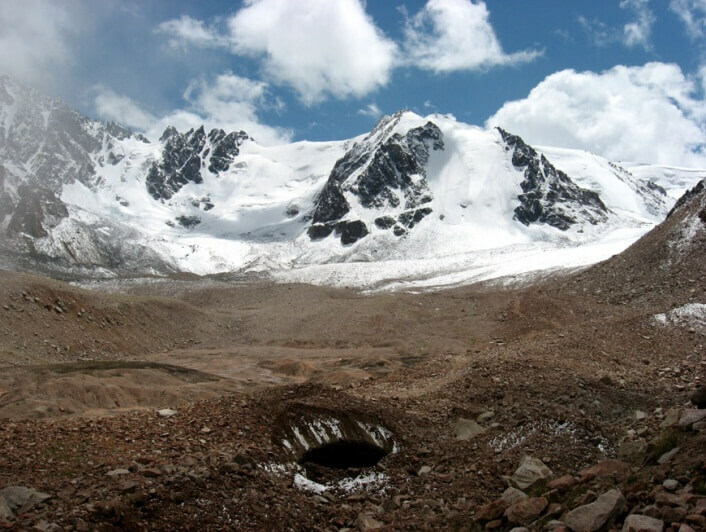 Moraine lakes – Titov pass 3,630 m – Tuyuksu valley – glaciological station T-1 – Tashkent camp (Tuyuksu glacier, 3,400 m). Distance: 10 km; 7 h. The difference in height: +1,150 m / -500 m.
Day 3. 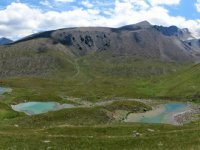 Moraine shaft – The Black Stone – Lake №6 (Manshuk Mametova lake, 3,650 m) – Alpingrad meadow – Mynzhilki valley – mountaineers memorial – Shymbulak. 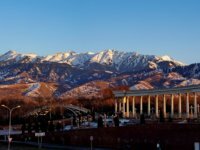 Transfer to Almaty (1 h). 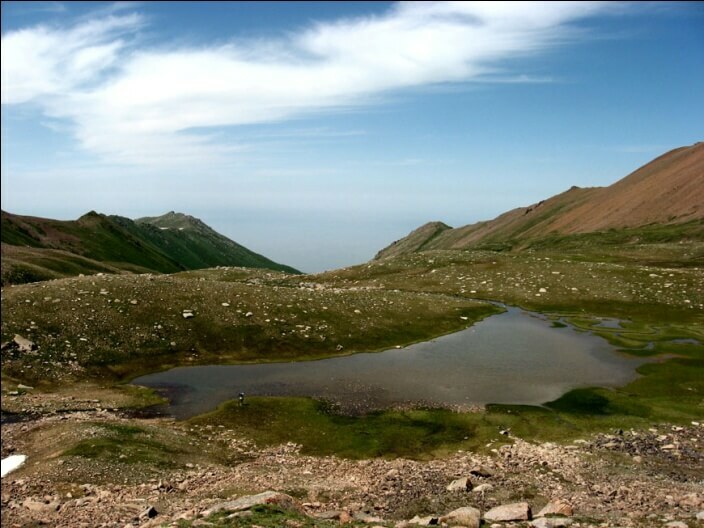 Distance: 12 km; 7 h. The difference in height: +450 m / -1,550 m.